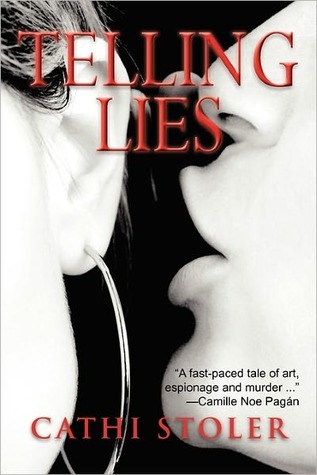 Goodreads: How many lies does it take to get away with murder? A chance encounter at Florence's Uffizi Gallery plunges Women Now editor Laurel Imperiole and private investigator Helen McCorkendale into an investigation of missing persons and stolen Nazi art. Could the man Laurel bumped into really have been Jeff Sargasso, an art dealer and friend who perished in the World Trade Center on 9/11? Searching for answers, Laurel and Helen thread their way through a sinister-and possibly deadly-skein of lies. Kritters Thoughts: Are you a fan of mystery, art dealing with a 9/11 twist? I was intrigued, so I signed up for this one. The story centers aorund a magazine editor who gets tangled up in the middle of an art dealing that involves a man who was presumed to perish when the Towers fell in New York City. Getting from a magazine editor to the end was a ride worth taking. The intermingling story lines were easy to navigate. Part of the mystery was trying to find out what piece of art was being coveted and why each party wanted it in their possession. Not only were there many parties who wanted the piece of art, there were three different detectives trying to find the answer, a jumble of characters that each had a distinct personality and plotline. A great mystery to grab while we are in the midst of honoring the anniversary of 9/11. Through the rest of the year, this art dealing heist is thrilling from beginning to end. Disclosure of Material Connection: I received one copy of this book free of charge from the author in conjunction with Tribute Books. I was not required to write a positive review in exchange for receipt of the book; rather, the opinions expressed in this review are my own. An interesting & very timely story. Kristin, I'm so glad that you heartily enjoyed Telling Lies. I know your review will mean a great deal to Cathi. As always, thank you for taking the time to read and review her book and for hosting a stop on her blog tour.